June's PNPF Book Club selection, "Find Your Happy", was inspired by the fact that the month of June marks the 1/2 way point of the year. Yeah. Can you believe we are almost there? Anyway...I really felt like this would be the perfect book to kind of get re-motivated about the goals + dreams we were all gung ho about at the beginning of the year. "The path you're on this very moment is going somewhere good." This book is filled with powerful, thought-provoking words that are sure to energize us and motivate us. 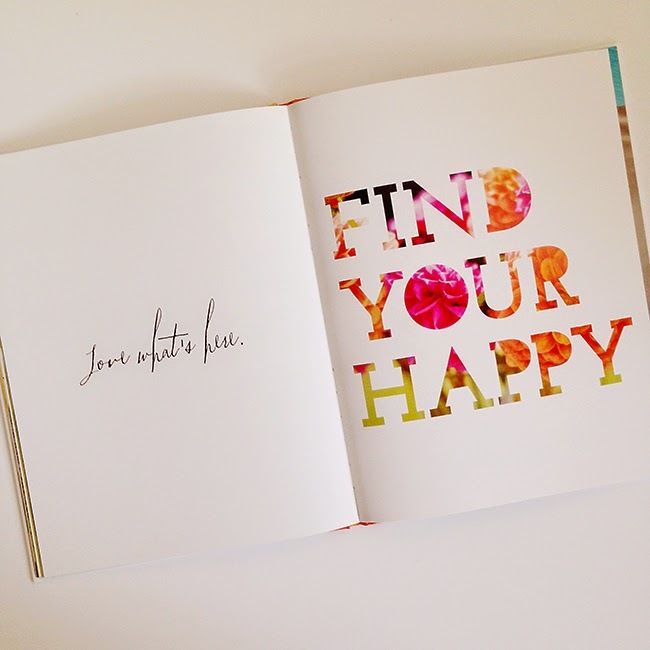 isn't that the ultimate goal for us all...to "Find your Happy"? 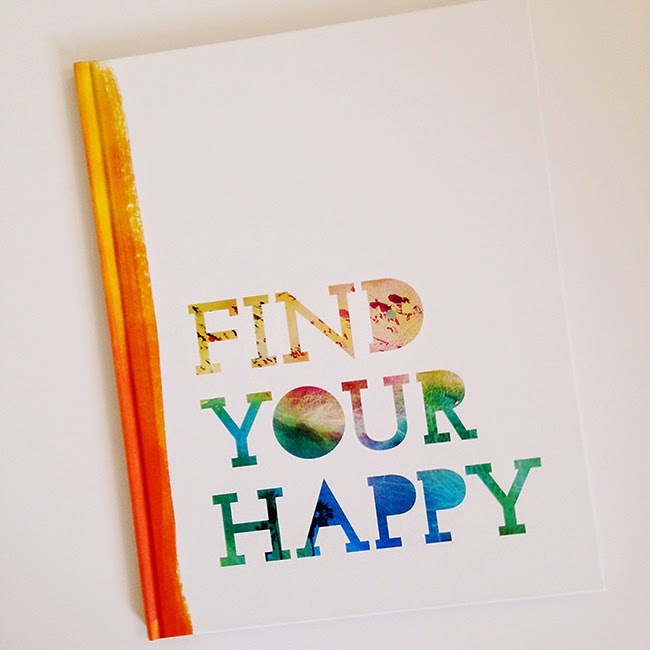 You can order the Find Your Happy book by M.H. Clark right now to make sure you have it by June 1st. OR...you can take your chances and win a copy here on the blog!! That's right, the wonderful folks at Compendium are offering up three copies to three lucky PNPF readers this month. Enter below. Points = entries. More points = more entries. Choose only one option or choose ALL of the options to earn points. The more options you select the more number of times your name goes into the hat!! Winners will be notified via email + names announced on the widget above when selected. I hope you are enjoying the book selection for May! 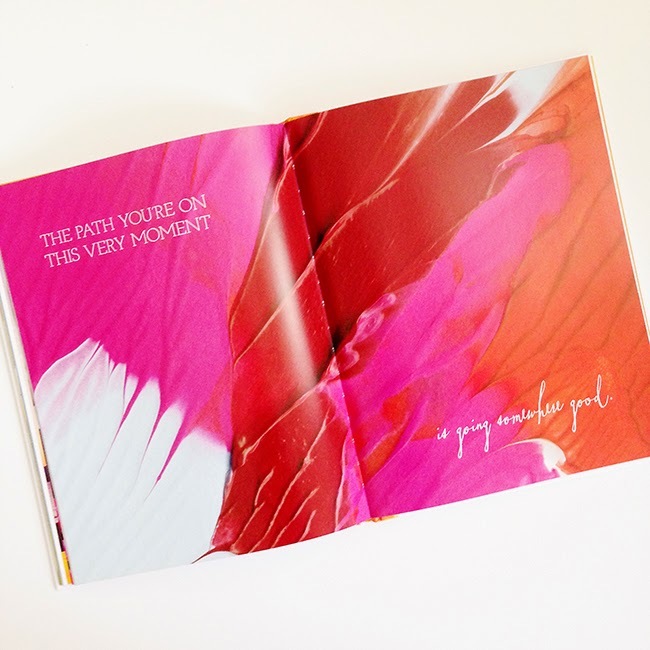 It's a beautiful little book and something you can keep out on the coffee table too! If you are new to the PNPF Book Club read all about how you can jump right in any time and the inspiration behind the easy-read, inspirational selections each month. Have a beautiful weekend, friends. The exterior of our home is being painted as I type this blog post. It looks SO different already and it's only been primed with some of the trim work painted. Looking forward to sharing the before and after pictures.